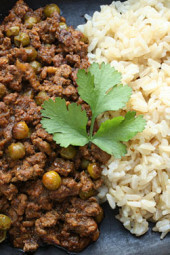 Kheema is a traditional Indian dish made of spiced ground meat, usually combined with peas or potatoes. 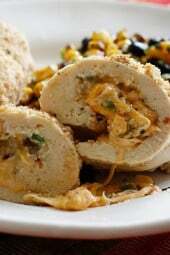 Usually made with chicken or lamb, however it’s also great with ground turkey or beef. I love this dish because it is easy to make and taste great. Serve this with white or brown rice to complete your meal. Leftovers make great stuffed peppers! In a large saute pan, heat ghee or butter and onions on medium heat. Add garlic and ginger; cook another 2 minutes. Add ground meat to pan and brown. Season with salt, pepper, cumin, coriander, cayenne, chili powder, turmeric, garam masala and cinnamon. Add chopped chili pepper, cilantro, bay leaf, tomato sauce and 1/2 cup of water. Add frozen peas and simmer covered another 5-10 minutes. Love, love, LOVE this simple, easy and delicious recipe!!! I made this with a mix of ground pork and beef. The spices are SPOT ON – this is a wonderful, authentic, flavor-packed dish. I dropped the chili peppers because, sadly, my guests can’t handle heat. I also couldn’t find any fresh cilantro and substituted 1 t. dried. But this recipe is really a winner. Can’t recommend it highly enough! Wellll…. i forgot the tomato sauce and water simmer step but it was still delicious. Served over brown rice with naan and some tzatziki sauce…. i would make this again for sure…maybe with the tomato sauce next time ? Made this tonight with ground chicken and it was absolutely delicious! Already can’t wait to make it again. I bought some extra lean ground lamb and this recipe is simmering on my stove right now. I was surprised it was 6 SP since I'm used to cooking other lean ground meats and they are very low in points. Well, extra lean ground lamb is 11 pts for 4 oz uncooked…eek! So, make sure your lamb is leaner. It smells delicious but I was planning to serve over rice and my meal will be hall of my daily points. If you're following WW, just a heads up. perfection! I used ground lean turkey and follow the recipe exactly and it was amazing! Fantastic flavor. The spice was right on. This is now a staple in our house. Thank you! I'm Indian and i LOVED this recipe. It was totally easy to make and tasted exactly like any good keema that I've ever had (this was my first attempt at making it). Thank you! Help please…..Tomato sauce? ketchup or passata? I make this dish with Turkey..much healthier !! I used ground buffalo and served it over shirataki noodles…low carb, low fat, and scrumptious! It may, but really the best way to go is with ground lamb. Made this over a dozen times now, and it's always a big hit. Hello, I love love love your sight. Really excited to make this recipe. Question for you. I was trying to figure out how many points the recipe would be if I were to ground chicken breast myself. In doing that I looked up how many points is in a pound of chicken breast compared to how many was in a pound of ground lean lamb. Weight Watchers said there were 33 points in a pound of ground lamb that divided by 4 (servings) is actually 8.25 points, and that is just the lamb alone. Yet the above recipe says it is only 6 points total. Am I doing something wrong? I know it is not your job to teach me how to calculate points, but I just thought who better to ask? I often try to figure out other recipes in this same manner, maybe I am calculating incorrectly?? I made this tonight with ground turkey. My husband declared it the "best ethnic dish" I've ever made. Absolutely wonderful!! 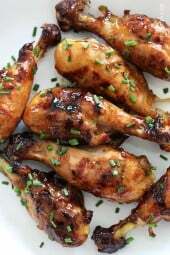 We had your chicken & mushrooms earlier this week and I make something from your site almost weekly, if not twice a week. Thank you for all of your hard work! This RAWKS… the spice combination is simply perfect and the spice was lovely and hot!.. I will admit I added a little more cayenne than requested since I only had a half a Jalopeno on hand. It will become a favorite in our house..
just made it…just as good as the Indian restaurant down the street, only cheaper! i made it with lamb this time as i love the taste; maybe next time i'll try the ground beef route….keep up the good recipes! Just made it – so yummy! I doubled this recipe and made it with ground bison instead of lamb (I left the cinnamon the same since I wasn't using lamb). This is a dish that my grandmother has made for me many times (she uses ground beef), so I know the spices well. It was pretty good. It was a tad under spiced for me so I ended up adding a ton of cayenne and a bit of garam masala at the end. I ate it with homemade baingan burtha and store bought garlic naan. I will be making this again. What kind of chili pepper works best? Jalapeno worked well for us down south in Texas.. I served over basmatti rice. I bet this would be really good as filler for empanada shells or some other pastry dough, too. Perfect for packing lunch for school/work. Also, I found the butter not necessary. Next time I will sauté onions in Pam & water and save a couple of points. If you find lamb too greasy, try browning separately from onions, drain and rinse then add to onions. I haven't tried this but it might help. My 5yr old just tried a bite and gave it thumbs up! Try adding juice of half a lemon at the end. Perfect!! This was a major fail in our household. Our family is majority Indian immigrants, but this was the first time I made kheema using lamb (I have used lean ground beef in the past). None of us liked the smell or the texture of the lamb. Plus it was very greasy. I will go back to my old kheema recipe (which uses fresh tomatoes plus potatoes). Why would a family of Indian Immigrants utilize a recipe from an American cook? Couldn't you tap into one of your family members for a recipe? Very odd post..
My entire family LOVED this dish!!! Made it with beef as that is what I had on hand. Gina you saved my life with all your delicious recipes!!!! Made this tonight for dinner. While eating it, my husband says "this is my favorite meal you make". Thanks Gina! The smells in my place..Im surprised the neighbors werent banging on the door for food. anyhow, I cant believe how "authentic" this tastes, authentic Indian I mean…like restaurant food. So amazing! I have never heard of Kheema either and I eat at Indian restaurants regularly. For a kick, I added 2 med size serrano peppers …ya it's a bit hot but so tasty! I'm making this for dinner tonight, and it smells delicious so far, but I'm a little confused. When was I supposed to add the ginger? Same time as you add the garlic. this looks delicious, but do you have the full nutritional info inculding calorie count for it? thanks! Glad you liked it Steph:) Thanks for commenting! Gina, this recipe is great! I have made it six different times, once with lamb but I have also subbed tofu, ground turkey and beef. I also add diced carrots or any other veggies I have around and put some cilantro in my rice on the side. @Jessica, excellent! Glad you enjoyed this! I really love Indian food! This was so yummy! I made it tonight with some okra and it was right on. My husband is from India and he also thought it was so tasty! I cannot wait to try this…I am east indian and the kheema my mom used to make was high in fat but it's nice to see a version that isn't!! It's great with turkey. Great with chicken too! Thanks for linking back! This is so good! I used turkey rather than lamb. We'll be adding this to our regular rotation. I've shared it on my blog, too, with a link to you. Please let me know if that isn't OK with you! Thanks a lot.Lamb kheema with peas is an interesting recipe. At last I have found something interesting and unique to serve to my guests during the holidays. 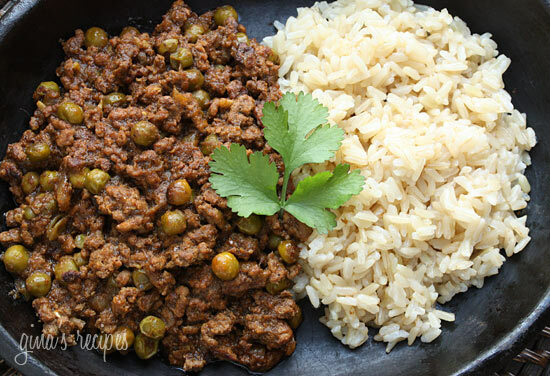 I am sure that they'll love this lamb kheema with peas dishes. thank you for shearing your post. I made this over the weekend. I love Indian food and have eaten a version of this. The spices were a wonderful mix. I think I'd try this same recipe with ground turkey breast because there was too much fat in the ground lamb. I purchased the lamb from a butcher but I'm not sure what part they used though it was all fresh. Thanks for the recipes. The lamb kheema looks tasty! Wow…this was so good and so easy to prepare. My son and husband who are meat and potatoes people really enjoyed this dish. My 2 year old loved it too! Yet another winner from this wonderful website! Thank you so much for sharing your recipes with us! I'm currently on WW, but hate bland diet food. Your recipes ar so refreshing! I love this dish, a great way to introduce people to Indian food. I always order this when I go out for Indian and figured it would be very easy to make. My husband really liked it too and he is not as familiar with Indian cuisine. Your kheema recipe is pretty spot on. My inlaws cook also makes it with crumbled firm tofu and it's a great way to serve it as well. Kheema is to Indian kids, what macaroni and cheese is to North America children. 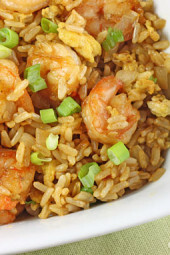 Since it's a very mild dish that adapts well to less seasoning, it is given to children as a quick easy meal.